Two years ago, two different friends who have never met posted the exact same tutorial for how to decorate the snow globe cookie to my Facebook page. I purchased a snow globe cookie cutter and had plans to make the cookie in 2016. But that holiday, I ended up suffering a bulging disc and didn’t get to do the amount of baking I was hoping to. So this year, I busted out that cookie cutter and was determined to replicate the cookie. One thing I did differently was make the gingerbread man out of light cocoa candy melts. In hind sight, the royal icing would have been a better choice. The candy melts start to set quickly…more quickly than royal icing does. I found it difficult to shape and smooth the gingerbread man once I had piped the shape and filling onto the wax paper. This was a very special cookie and it was going to be part of a package for the family of a dear friend of ours who passed away after a massive heart attack in November. He was a coach to my son in both baseball and basketball for many years. He was also an organ donor, whose liver and kidneys are now helping others. Like the scene in the snow globe, I remember our dear friend…a sweet, kind soul…suspended in time and living on in a unique way. It’s been awhile since I’ve posted an update. I was dealing with a bulging disc, sciatica and terrible pain. I’ve been in PT to right my back issue, as well as on medication for pain. Thanks for your patience as I had to keep focused on work, family, and recovery. I’m much better now and happy to share some of the baking a did before and after this bout with back issues. This Christmas I did the baking while hopped up on some serious pain medications, so if you see any errors, I’m going to blame it on that! 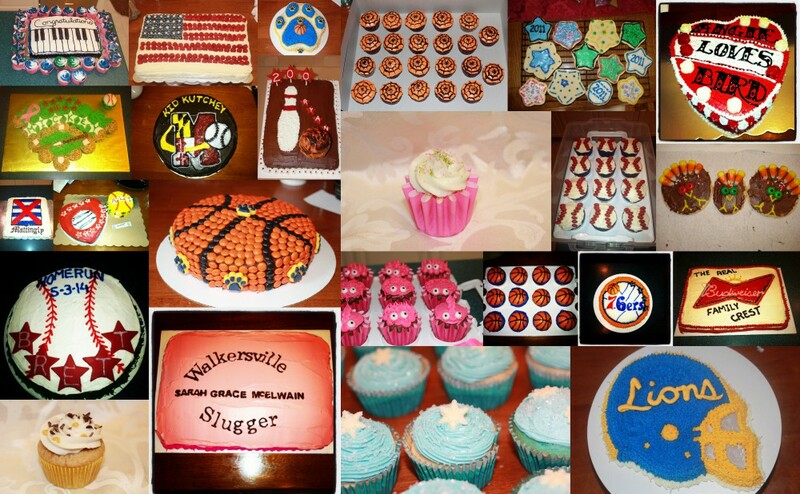 Each year I bake for the kids on my oldest son Alex’s baseball team. This includes kids he plays with now, and those we played with for many years, but have moved on to more competitive teams that pull from a larger talent pool. I make goody bags for each family that include candies (bite size things like Snickers, KitKats, Kisses, etc.) and mini-breads (pumpkin, snickerdoodle, gingerbread, and banana). I also made sugar cookies with royal frosting, chocolate sugar cookies, and gingerbread cut out cookies. Bakers note: I substitute 1 tablespoon of almond extract for one of the tablespoons of water when making my royal icing. I think it gives the icing a much better taste. This is a big effort, so I take vacation days to do this. The recipe I use for the sugar cookies and chocolate sugar cookies both involve extra steps/time of refrigerating the dough before rolling out (sugar), rolling out and refrigerating (chocolate sugar) and refrigerating again once cookies have been cut (sugar), before baking. This year, I decided to personal Santa cap cookies. In a previous years, I used the stocking shape when personalizing. There’s lots of prep work that goes into getting decorating ready. You can see the mini breads in the bucket and more cut out cookies in the containers with red tops. As I captioned this when I posted it to Instagram, Twitter, and Facebook: “Santa has his workshop, I have mine”. I used red (no taste) and leaf green to color a portion of the royal icing. I also had a wide variety of sugar pearls, sugar sprinkles, and other edible decorations. Each Santa cap had a unique design. And I started with a #1 Wilton tip to pipe on the names, but I found that the royal icing would clog this very narrow tip. So I moved to a #2 tip, but found that it was too wide. I had to move from full first names to initials. Baker’s note: I asked Wilton via their Facebook page about how to make the icing more “pipeable” and clog less. They suggested I sift the powdered sugar before mixing with meringue powder and water. I did that the next time — in addition to adding a tad more water when using a #1 tip — and it worked much better for the next personalization project I did. Also, holding the piping bag straight up was an improvement, so recipe tweaks plus technique tweaks helped do the trick. So, on to initials it was. For some families with multiple same initials, I added a number at the end. The JK family are big Ravens fans, so I put purple and black jimmies on their hats. The one pink hat is for a friend who is a breast cancer survivor. Of course, there was a special hat for my friend Brian, who is the biggest fan of the movie Christmas Vacation that I know. There were also some extra generic Santa hats and lots of star cut out cookies. And finally, there was a Fireball fudge that I put in the goody bags of my closest baseball mom pals! I cut it into small pieces so no one would over indulge. On Christmas Eve, I take my son Alex with me and we make deliveries of the goody bags to everyone. We have plastic bags to put the red or gold paper bags in (should have taken a picture of the goody bags, shouldn’t I?!) for folks who may not be home. My son Nick’s 8th grade football team made it to the playoffs this year. As has been my custom with football playoff games for my boys throughout the years, I make treats for the players, coaches, cheerleaders, and fans. There would be three rounds of playoffs, quarterfinals, semi-finals, and the SuperBowl. but decided that those would be the cookies I would make if the team got all the way to the SuperBowl. For this first round of playoffs, I decided to make sugar cookies in the shape of footballs that were personalized. I use a recipe for the sugar cookies that I found on Food Network. For the royal icing, I always substitute one of the tablespoons of water with a tablespoon of almond extract. I think it improves the taste of the royal icing. I also tinted some of the icing golden yellow and royal blue, which are the team colors. I used these colors for piping on names, numbers and other decorations. The cheerleaders and their coaches had their name and a blue “pom” (tip #233) on each end of the football. Not easy to do with royal icing that is more flooding consistency, so my poms looked more like blobs. Our team was up against the top ranked team…and I’ll spare you the suspense. Our boys did lose and our playoff run was over after only one game. But the important thing is…even when it was very clear the game was out of hand, our boys continued to play hard until the end. And the other important thing? We had cookies to celebrate what great kids, coaches, and fans we have! Good luck in high school, fellas!